Apple has introduced the long awaited tablet, calling it theÂ iPad!Â The iPad has Wi-Fi and Bluetooth connectivity built-in, comes with 16, 32 or 64 gigabytes of memory, has a 9.7 inch multi-touch screen yet only weighs in at 1.5 pounds. The company claims the device has a battery that can last 10 hours and can sit for a month on standby before needing a charge. 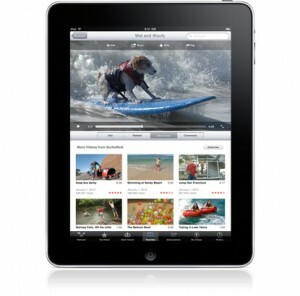 Apple will sell a version with 3G data plans and without a long term contract. For those who experience a weak signal on the AT&T service we have a range of repeaters that will greatly improve your 3G data service. We recommend a dual band repeater so you can also have improved reception on your cell phone including the iPhone.